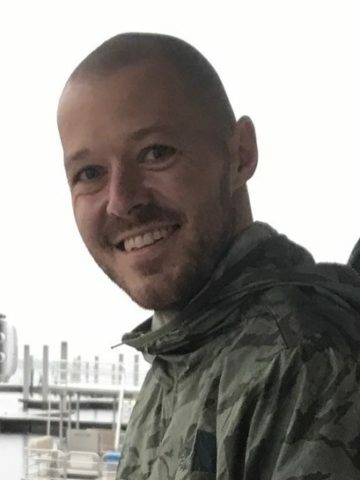 Josh Nash, age 35 of Gallatin, TN passed away peacefully at home surrounded by his loving family on Thursday, January 17, 2019. Josh was born September 8, 1983 in Greenville, KY to proud and loving parents, Bobby and Janet (Hardison) Nash. Upon graduating high school, Josh went on to graduate from Western Kentucky University. Along with his wife, Josh owned and operated FoamWorx, Inc., an insulation company in Nashville. Josh was a long time member of Adairville Baptist Church and had most recently been attending First Baptist Church in Hendersonville. In his spare time Josh enjoyed deer hunting and spending time on the water. Josh was an avid boater and spent most of his free time on the lake with his family and friends. He was a very proud father and loved that he had the best of both worlds with his daughters; Blake who loved boating and wakeboarding and Baylee who loved riding her 4 wheeler. Josh will be remembered as a positive, upbeat and optimistic man and will be dearly missed by all who were honored to know him. On June 13, 2009 Josh was united in marriage to his loving and devoted wife and best friend, Kristina (Carlton) Nash, who survives. Also surviving are his 2 adoring daughters, Blake and Baylee; his parents, Bobby and Janet (Hardison) Nash; grandmother, Joyce Hardison; father and mother in law, Chris and Tracy Carlton; sister in law, Kelly (Eric) Madison. Family will receive friends on Friday, January 25, 2019 from 4-8pm at the Hendersonville Funeral Home (353 E. Main St; Hendersonville, TN 37075) and again from 10-11am on Saturday (1/26) where a celebration of life will follow at 11am. In lieu of flowers, family suggest donations be made in Josh’s memory to St. Jude Children’s Hospital (http://giftfunds.stjude.org/joshnash) or to http://support.pancan.org/goto/joshnash. Im so sorry for your loss. I dont think I ever met Josh but from what I hear about him he was a fine man. May God be with you and comfort you during this dark time. Our heart and prayers go out to you we know exactly how your hurting it’s the worse possible hurt we have fond memories of Josh as a beautiful little boy.God Bless you we will be thinking of you. Sendings prayers. I pray God can give you peace through this unimaginable time. Josh was such a kind friend to have. He will be missed greatly! Janet and Bobby I am so sorry for your loss. May God give you the comfort that only he can give. Thinking of all your family. Janet and Bobby, so sorry for your great loss. My heart aches for you. May God hold you close in the palms of His loving hands. Love you. Janet and Bobby, my heart aches for and with you. I can’t imagine loosing a child. But God can and I pray He will surround you with His love and peace. Bobby & Janet, so very sorry for your loss!! Praying for peace & comfort for you both & all the family. Our thoughts and prayers are with your family. Josh was a fine young man. My heart and prayers go out to Josh’s family and friends. May God wrap His loving arms around each of you and give you comfort and peace. Bobby and Janet my heart breaks for you and all of Josh’s family. You all are in my prayers for comfort through this difficult time. May God bless and be with each of you. Warner and I are so sorry for your loss. We will pray for your comfort through this time of grieving. We have heard only good things about Josh. God bless you and the entire family. So sorry for your loss..As parents we never think our child will go before us…My heart hurts for you…May God give you comfort now and the days ahead..Prayers also for his wife and children that are heartbroken. I cannot imagine the pain that the entire family is experiencing after losing such a great son, husband, dad, grandson , son in-law, brother in law……. Bryant George and I were talking about josh last week and he talked about how Josh was a great guy and friend. I am praying that God lift the entire family up during this time and the days ahead!!!!!! So sorry for your loss. Sending prayers to you all. Bobby and Janet our hearts are breaking for you’ll. There is no pain like the loss of your child. Praying for peace and comfort that only God can give. Prayers, love, and hugs to you’ll! So sorry for your loss. Praying for Gods comfort for you and your family during this difficult time. My heart breaks for you and your family. I am so sorry! Prayers for comfort during this time. I just heard of your son’s passing. I am so very sorry for all of your family. I can’t imagine anything worse on this earth, than the loss of a child. My thoughts and prayers are with you in your time of sorrow. I pray that God will wrap his loving arms around you all and give you his peace and comfort. My heart breaks for you, Janet and Bobby. Sending peace and love during this difficult time. My heart breaks for the family during these difficult times. Cherish the time you had with Josh and know that you will see him again someday. May God bless and keep you strong. My heart and thoughts are with all of you. The Nash family has always been special. I wish I had the words to make the pain go away or the answers to all your questions but I don’t. Just know that you have been and will remain in our thoughts and prayers. So very sorry for your loss. Praying for peace and comfort for you during this difficult time. My heart breaks for the loss of such a sweet man. May God bless your entire family with His overwhelming love, peace, and comfort. Prayers for all the of you, I am so sorry for your loss. Will continue to pray for you all. So very sorry for loss. Prayers for all. So very sorry for your loss. I remember what a kind fun loving young man Josh was. Our prayers to all of you. So very sorry for your loss. God Bless and keep you during this difficult time. Bobby and Janet, we are so sorry. You are in our prayers. Janet and Bobby I am so sorry for your loss. Praying for God’s love and strength to help you during this difficult time. Bobby & Janet, Our hearts are breaking for all of you. Lifting all of you up in prayer. May God’s love and mercy continue to carry you. My prayers go out to the whole family as you are grieving his loss. I did not have the pleasure of meeting him but my best friend in this world is Laura Miller-Ogelsby and I prayed for his healing over the past year when I learned of his illness through Laura!! I AM SO SORRY. PRAYING FOR ALLOF YOU. Bobby & Janet: Sending lots of love & prayers today and for the days ahead. So sorry to hear about Josh. I know he was as special as his parents are. From reading all the messages it sounds like you are being showered with so much love & support! May God bless each of you! Josh was a kind soul with a big heart. Prayers for his daughters and family. So very sorry for your loss. Richard and I send our sincere condolences to all of your family and pray that our God will comfort you and give you strength now and in the days to follow. We are praying for you all during this sad time. May God wrap his loving arms around you and comfort you. Kristina and family, I will say a prayer for y’alls peace, understanding and the comfort of God’s loving arms to be wrapped around you all during this time. Our hearts and prayers go out to each, and all of you. Just remember, Josh fought a good fight, and he kept the Faith. Knowing that God will honor that. And each of you have done the same. We Love you all and pray God will draw you to himself. Bobby and Janet Our sympathy seems so little in light of your loss. There are few words that can comfort if any. Kristina, Blake and Baylee Praying for peace and understanding. For God to hold you each and provide for you. We haven’t seen Josh in years but remember his beautiful smile. Praying for comfort from the Father as only he can give. Jerry and I are so saddened to hear of Josh’s passing. It was so wonderful sharing his high school and college years with Kyle. So many good memories of ballgames. Prayers for your family. So sad to lose one of my best friend and someone I truly looked up to. When ever I needed advice Josh was there. When you just wanted someone to talk to on the way home from work a 5 min conversation would turn into an hour. He dedicated his life to his family and mostly to his two beautiful girls. That was his best attribute. He was and will always be a man that I admire and look up to. Love you Josh and will miss u every day. We are truly sorry for the loss of Josh. Our loving Creator wants to comfort you with his promise that soon he, “will wipe out every tear from their eyes, and death will be no more, neither will mourning nor outcry nor pain be anymore. The former things have passed away.” (Revelation 21:3,4) May this promise bring you comfort and hope. So sorry for your loss. Death is an enemy, but there is hope.The scripture that has comforted me is Revelation 21 : 3, 4. Your Titans Cheer Alumni Family loves you and will be here to support you and the Nash family. God Bless you and your family! It’s so sad to hear of a young person leaving this world. Bobby & Janet my heart aches with you. Only Jesus can give you comfort. Will be praying for you’ll and children and his wife. It breaks my heart to hear this. I am so very sorry. Praying for comfort and peace and sending all my love. Bobby & Janet, we are so sorry about Josh. There are no words to express the heartfelt sympathy for your loss. What a beautiful tribute to an amazing young man! Prayers to all the family for peace and comfort in the days ahead. I am so sorry to hear this breaks my heart. Praying for everyone of his family and friends. Many great memories I forgot to cherish till now, so sorry.